Glamabox, a monthly beauty product subscription service, introduces Glamazine on Glamabox.com to provide online beauty tips and content to users. Lisa S, Co-founder, launches Glamabox to help Asian consumers connect with beauty brands from around the world. 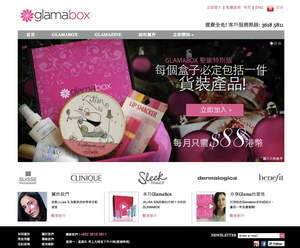 HONG KONG--(Marketwire - Dec 12, 2011) - Glamabox.com, the leading online beauty products subscription commerce platform in Asia, founded by celebrity model Lisa S, officially launches its online magazine, Glamazine, today. The commerce portal offers consumers the ability to subscribe to its monthly subscription service and provides users with valuable product information and beauty insights. "Glamazine will feature beauty, fashion and lifestyle tips and reviews by beauty and fashion experts including contributions from myself. Our subscription service will also deliver 4-5 premium beauty products from a variety of brands to subscribers monthly," says Lisa S.
"Glamabox and our new Glamazine fills a void in the Asian beauty market," said Jennifer Cheng, President of Glamabox. "Glamazine enables our users to learn about the hottest products from throughout the world, receive free advice/tips from Lisa S and other celebrities, and receiving a monthly Glamabox full of amazing hand-picked beauty samples to test for only $88 HKD. We are extremely pleased with the early feedback that we are receiving from our Glama-Girl community of subscribers as shown in the rapid growth of Glamabox. Glamazine will enhance the existing subscription commerce offering of Glamabox even further, developing an even higher level of interaction between the brands we work with, our community, and our beauty experts. We are very eager to watch this dialogue and resulting conversations unfold." 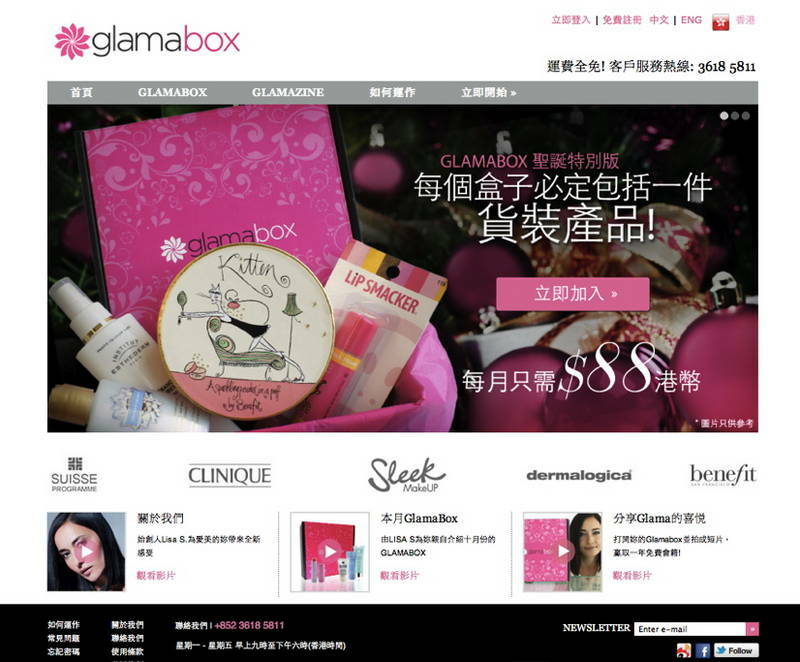 Since its launch in Hong Kong in October, Glamabox.com has featured some of the beauty and cosmetic industry's leading brands including Clinique, Suisse Programme, Neogence and many more. Glamabox is rapidly changing the way women shop in Asia.